Home » Frictionless trade with the UK: Future or Fantasy? In her keynote address, Anneleen Van Bossuyt MEP, Chair of the European Parliament Internal Market and Consumer Protection Committee, stressed that it is in the best interest of the EU and the UK to strive for a good deal, given their history of economic interdependence. She voiced concern that without agreements to overcome the challenges of mutual recognition and standardisation, consumers on both sides of the Channel will pay the price. 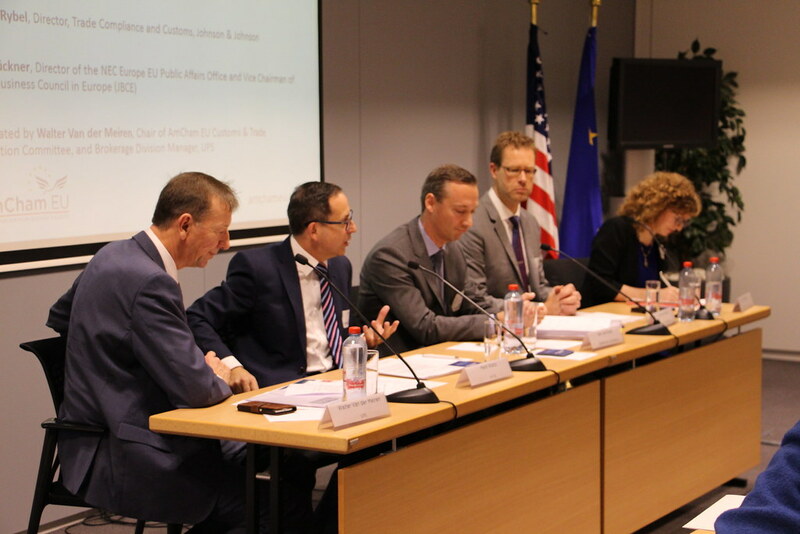 During the panel discussion on the future of UK-EU customs and trade relations, participants debated the impact of a Brexit with ‘no deal’. Businesses would benefit greatly from increased transparency on the timeframe of a transition period and have called on the UK government and EU representatives to allow greater engagement from industry in the process.